i had the incredible opportunity to meet and make some photographs of Kate at her home in Pataskala, which is located a bit east of Columbus, Ohio. Kate is a very inspirational person who i enjoyed talking to just as much as making the photographs. 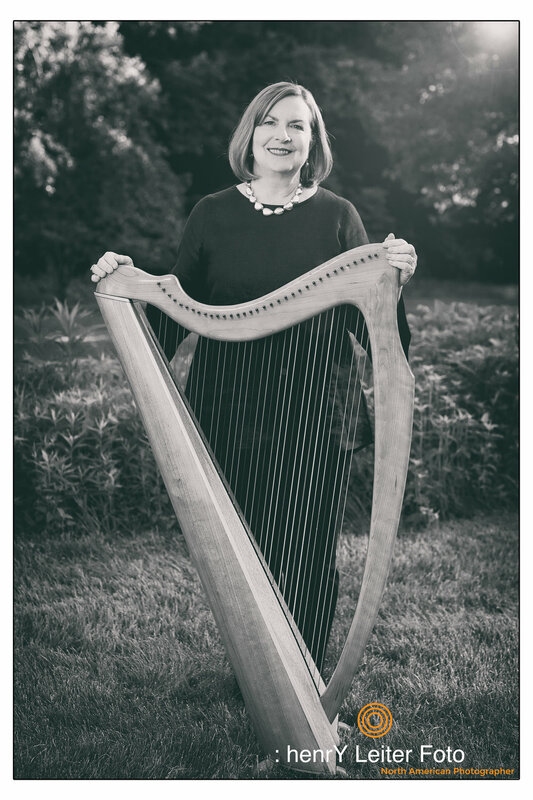 Not only is Kate a magnificent harpist, and Hospice nurse, her husband and her have a small organic farm and are members of OEFFA. Kate playing a beautiful tune on her Harp for me near her organic gardens. We sat in her beautiful backyard near the organic crops as the sun was starting to set. She played a beautiful tune on her harp and as i listened it seemed to make the dappled light dance all around us on the surrounding trees. It felt as though I was transported back in time but also into some esoteric future where music is the only language that is spoken. It is assignments like this that remind why i really love what i do as a photographer.